South Florida’s most experienced IT service providers. 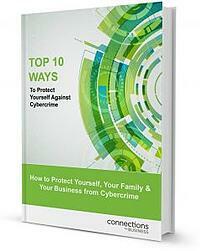 Want to learn how to protect yourself, your family and your business from Cybercrime? The cyberattacks of the past few years have made security a common topic and not something that can be ignored. To help with your search, we have created this eBook containing essential tips you should follow to protect your business from Cybercrime. Why you and your business are targets for cyber criminals? 10 simple steps you can take to protect against phishing scams, ransomware, attacks, and more.